Glow in the Dark Natural Flowers are often used as a present for a Birthday, Valentine's Day, Christmas and other holidays. Luminous natural flowers will make your house prettier by adding a touch of contemporary modern to the design of its interior. Designers often use luminous flowers in landscape design or when decorating premises for celebrations, weddings and banquets. Glow flower itself is an ordinary flower, but with a layer of harmless luminous paint. Glow in the Dark Flowers are 100% harmless in all senses to humans. Glow in the Dark Flowers have the lifetime of ordinary cut flowers. Special glowing paint for flowers may even make their lifetime longer. It is imortant to note that any kind of plants may be dyed with a special Noxton paint: roses, tulips, asters, daffodils, lilies and others. Glowing flowers look beautiful and stunning in a bouquet. In that case, every luminous bud glows with its own color, making a real 3D effect. Glowing flower has an attractive feature of glowing every time the room lights are off. Even a short accumulation from a room light results in a beautiful and soft glow after turning off the lights. During the first minutes after the charge, the luminous bouquet can be even used as an autonomus source of light and illuminate its surroundings. Glow in the Dark Natural Flowers do not require any special care. They can be treated as ordinary cut decorative plants. It is worth to note that in case glowing rose is dried, it will glow for unlimited number of times after accumulated enough light. 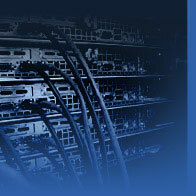 The process will be the same for years, due to fact that glowing material from Noxton has an unlimited service life. That is why a bouquet of Glow in the Dark Flowers will remind its owner of an important solemn event. You can always buy luminous flowers here at Noxton Technologies. The way we make them: Glow in the Dark Flowers are made by applying special glow gel to the surface of a flower. Natural glowing flowers purpose: May become a unique souvenir, modern gift or a decorative element. Heavily used in interior and landscape design. Features of using Glow in the Dark Flowers: Glowing paint for flowers does not affect the lifetime of a decorative palnt. Recommendations: Bouquet of the glowing flowers will provide better glow than a one flower because of the volume. Colors of glow: Yellowish green, light blue, yellow, pink, dark pink, red, blue, orange and others. Glowing flowers and ecology: Harmless to humans. Luminous coating is absolutely innocuous to the bud of the flower as well. Storage of natural luminous flowers: Natural flowers will live longer in a vase filled by one third with fresh water. The most popular kind of luminescent flowers is a glowing rose. It is possible to make the glowing surface in such a way, so that it will retain the original day color of the bud and, in the same time, will ensure a strong luminescence (green or light-blue) in the dark. White and lighter luminous flowers glow brighter than the plants with relatively dark buds. Noxton Company can also make an effect of shining dew on the flower and its leaves. Natural glowing flowers can be charged even with a lighter or a flashlight. Noxton Company informs its customers that it doesn't take long to make Glow in the Dark Flowers. Absolutely anyone can make a glow effect for a wide variety of ornamental plants, by using glowing paint for flowers. Withal, we provide our customers with a free instruction that describes the process of making glowing flowers. Noxton's luminous gel for flowers is totally harmless to plants and humans. In case you have no time for painting the flowers you may buy some ready-to-go glow ones in no time, here at Noxton Company. Glow in the Dark Natural Flowers can make a great combination with other luminous products from Noxton: glow artificial flowers, luminous souvenirs, glowing Christmas toys. 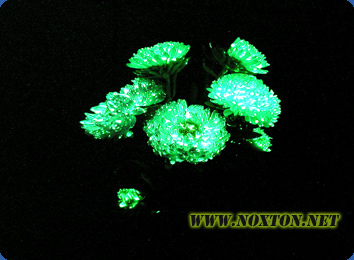 To see the prices and buy Glow in the Dark Flowers from Noxton, please proceed to "Price list" page.